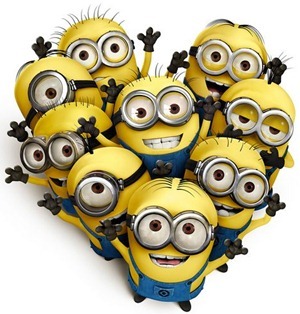 If you don’t have minions, bummer for you. If you do, are you harnessing their power like you should? Remember a long time ago when I announced the winner of my guessing contest? You don’t? Has it been that long? I held a contest to see who could guess how many minutes it would take to clean up my room. Click HERE and HERE for info on that. So she got to decide what the next topic of my blog would be about. And she wanted it to be about Minions. She wanted it to be about chores. See the relation between Minions and chores? If you don’t, you will soon. Very, very soon. Ah, chores. Aren’t they wonderful? Don’t you just love fighting the minions to try to get them to do their chores? Isn’t is just easier to do them yourself? But then you’d also probably play the martyr, plus you wouldn’t be teaching your minions anything about work. That’s where the slaves, I mean Minions, I mean children, come in. Now I’m not going to get into all the reasons why giving your children chores is such a valuable thing for them (and for you), but I will tell you what I do and what works for me. I start off by training them pretty young. 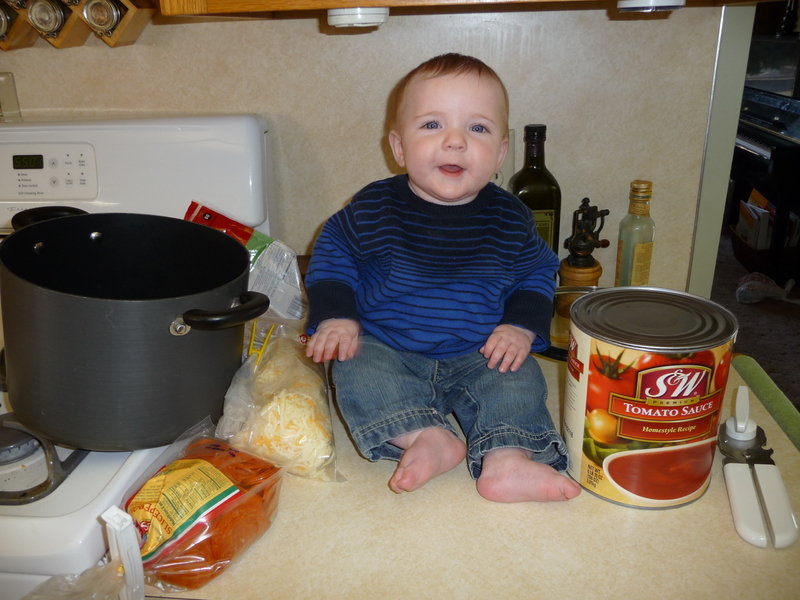 Luke is 8 months here and he’s getting ready to help me make dinner. What? Your 8 month old isn’t helping you with dinner? What kind of parent are you?! You need to check back because I have a lot to say on this subject. And I’ll be asking you for your methods as well, so be thinking about that. This entry was posted in Cleaning, Organizing and tagged chores. Bookmark the permalink. That is a lot of tomato sauce. You’re hilarious! Yes, I was making pizza and pasta sauce. Since we make homemade pizza every weekend & have pasta regularly as well, we buy it in bulk & make huge batches at a time!